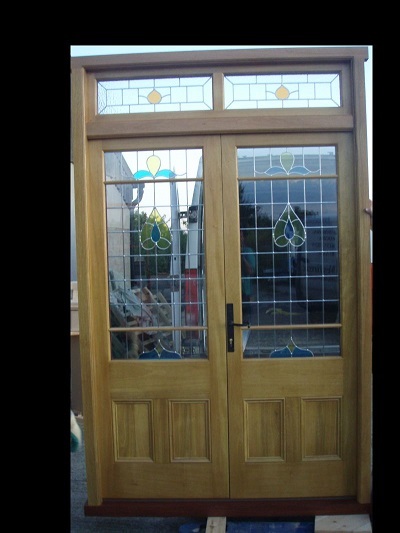 At Weybread Woodcraft we can supply exterior and interior doors. 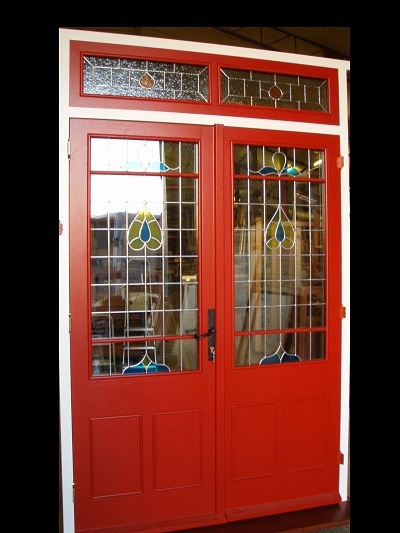 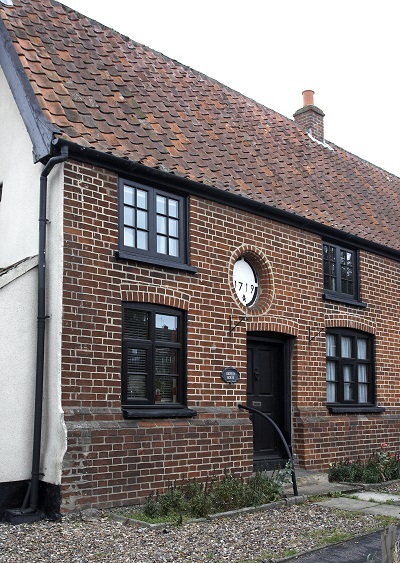 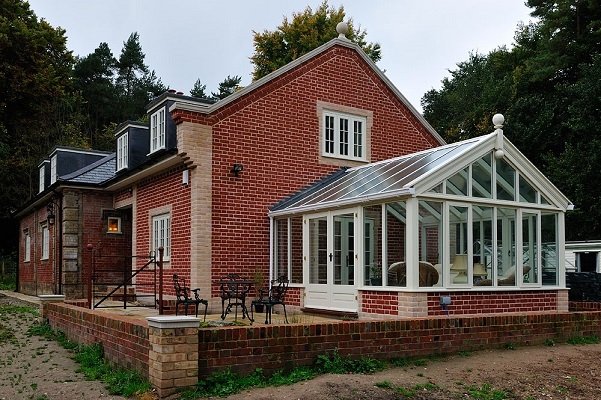 Whether you are after a fully glazed door, a contemporary style, perhaps a Georgian or maybe a Victorian panel door with raised and fielded panels and heavy mouldings; we can design and manufacture a style to meet your requirements. 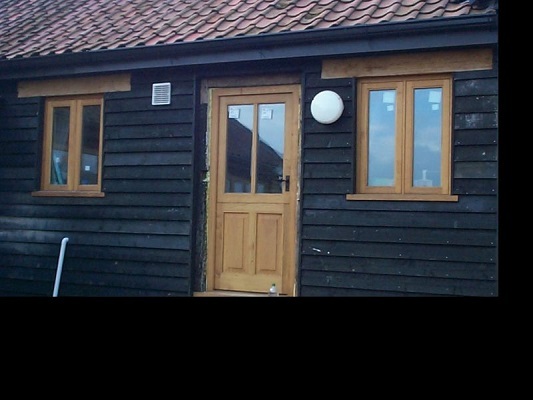 Your door can be fitted with a secure by design multi-point locking system or just a 5 lever lock, the choice is yours. 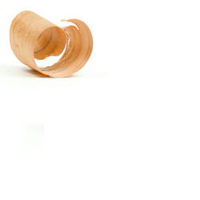 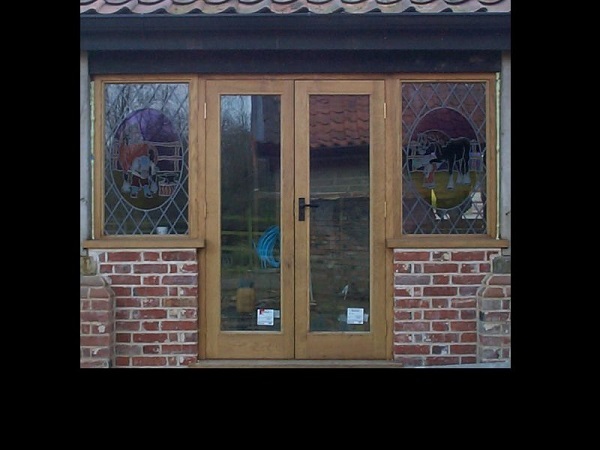 With our manufacturing methods and standards you can be assured that you are getting the best. 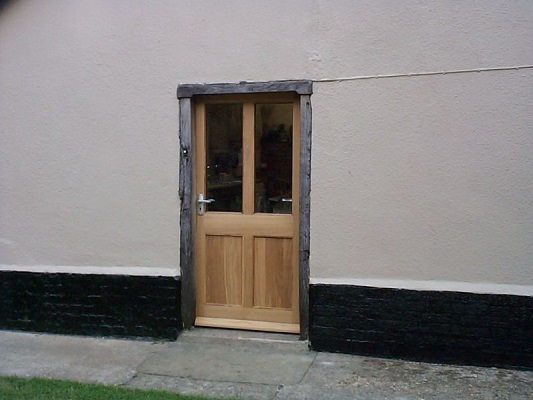 So whatever the door you require maybe, contemporary or traditional, our aim is to give you a high performance wooden door with all the benefits of modern technology knowhow. 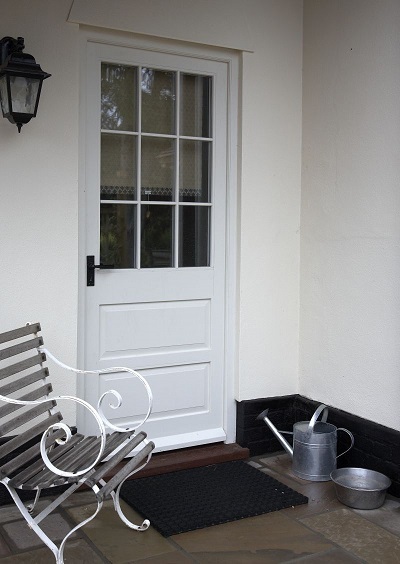 Doors can be supplied pre-hung into their frame with all locks, hinges and handles fitted. 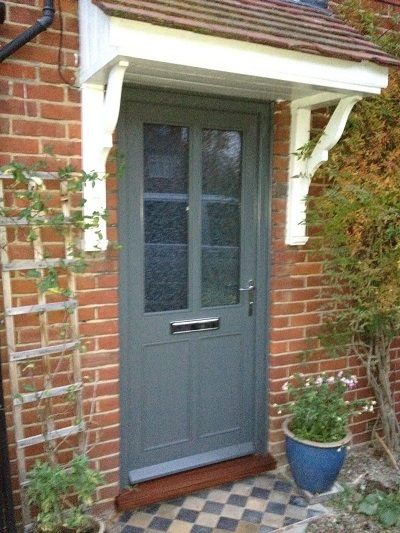 We offer a full pre installation decoration service, so your new door arrives fully painted or stained and glazed ready for installation. 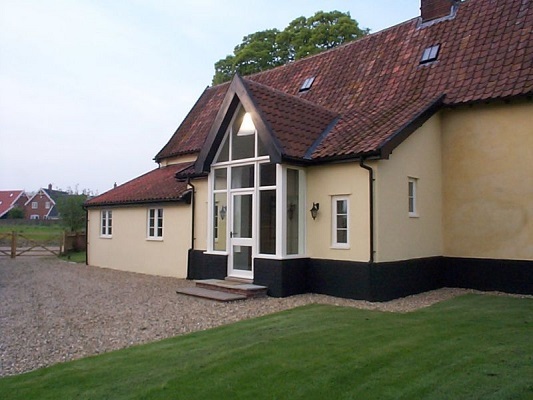 We provide a wide variety of finishes from oils, paints and stains. 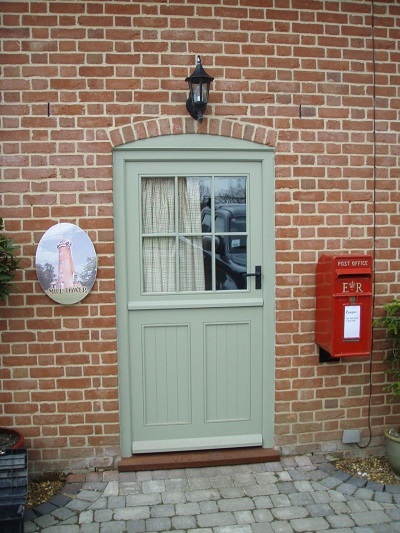 Our door fitting team are trained to FENSA standards and all our wooden doors meet with the latest building regulation approval. 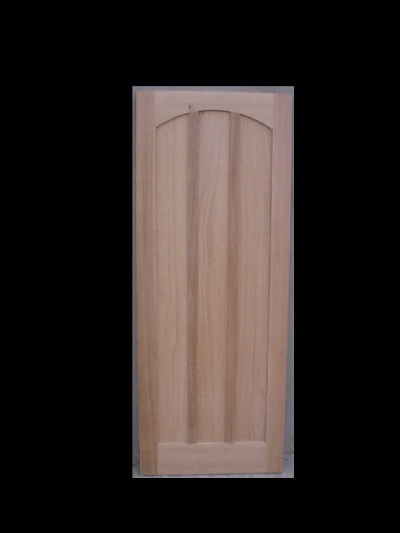 All our doors are bespoke, designed to your requirements. 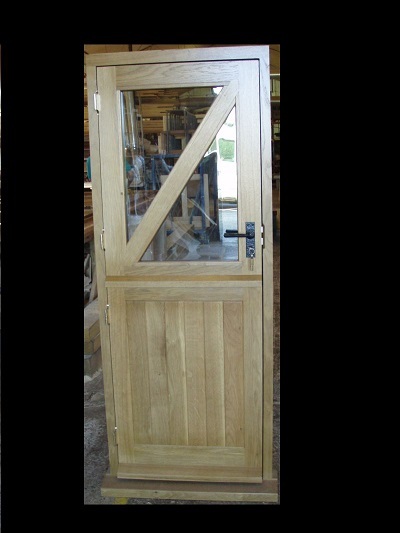 Our manufacturing process using the latest CNC technology ensures that we can manufacture almost any style door and frame configuration. 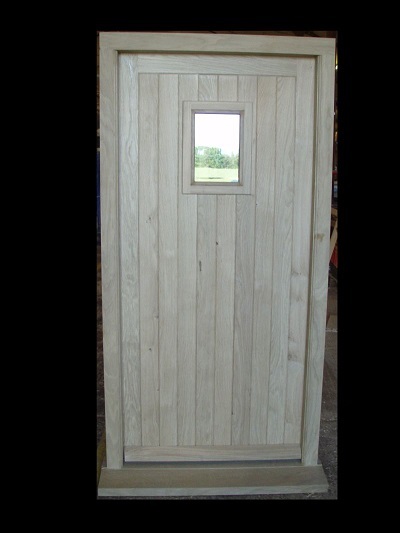 Our wooden doors are made from solid timber, panels can be incorporated using either solid timber or an insulated core depending on your design. 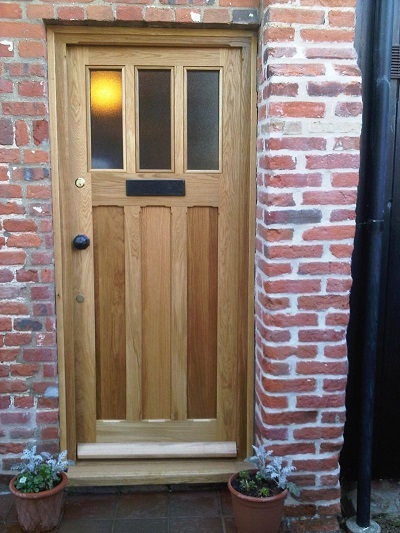 Weybread Woodcraft's doors have a solid feel with a 55mm thickness. 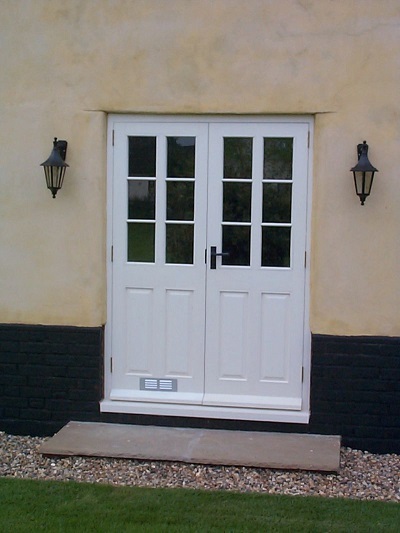 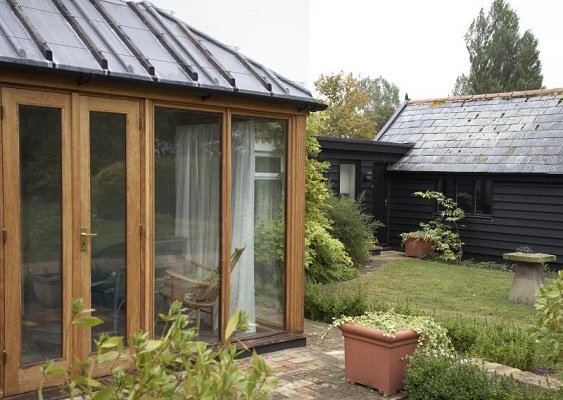 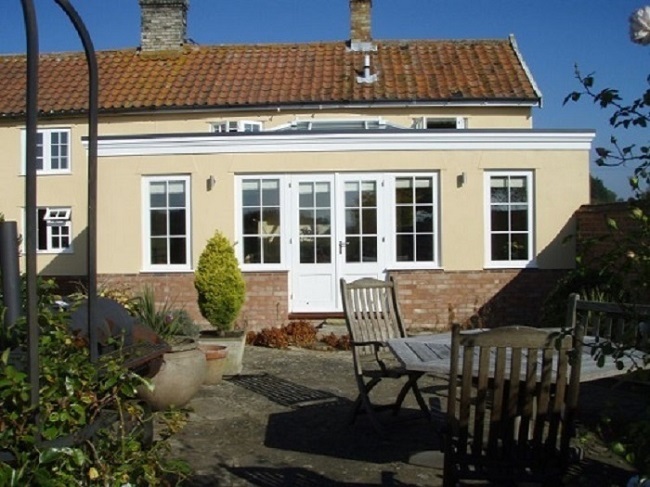 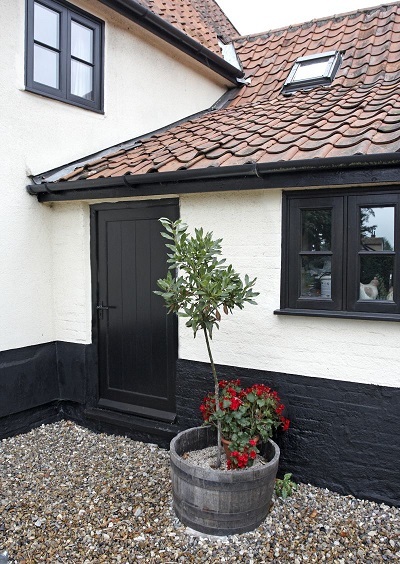 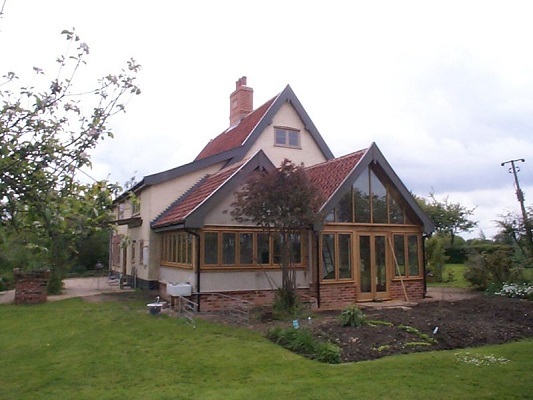 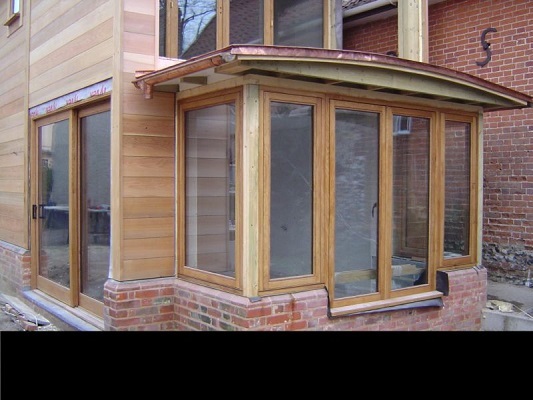 External timber doors can be designed with side lights (opening or direct glazed) or fan lights. 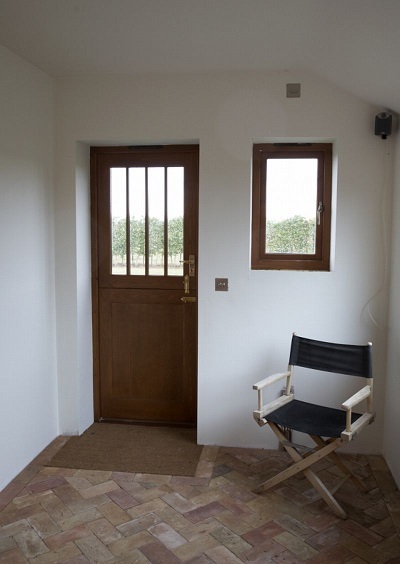 STABLE DOORS - A stable door is a door in two halves, with a top that can be left open when the bottom part is shut. 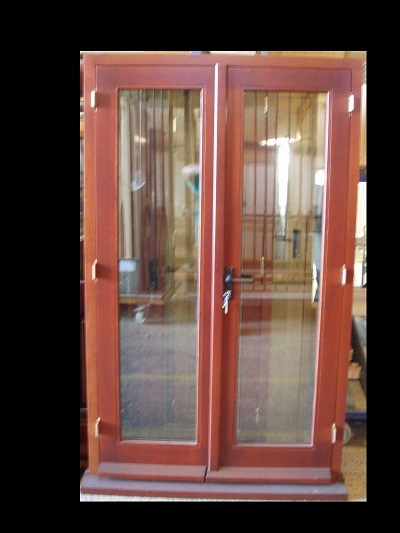 They are more popular as a back door, ideal for keeping pets and small children indoors while allowing the fresh air in. 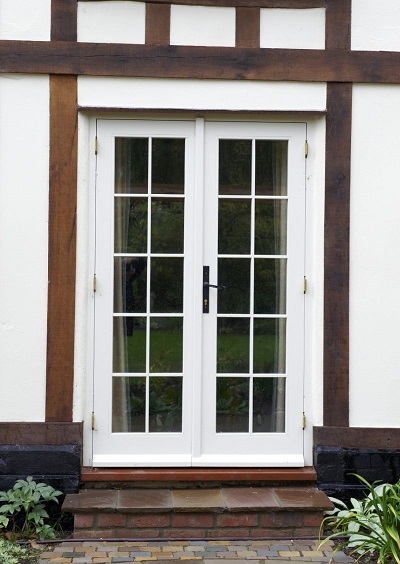 FRENCH DOORS - French doors are two adjoining doors that have glass panes from top to bottom and are hinged on opposite sides of the doorway so that they open in the middle. 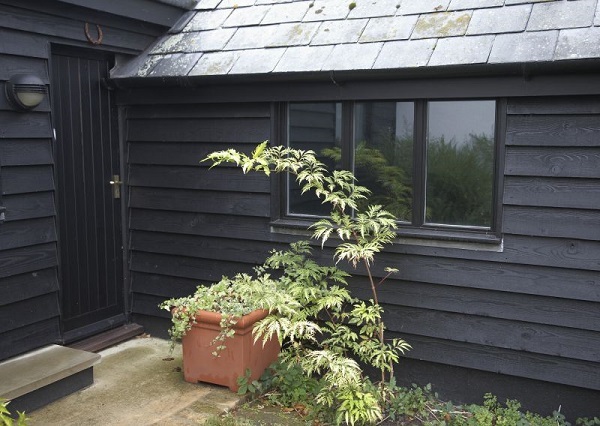 They are most popular for the rear or the side of a property, allowing access and views to gardens and outside space. 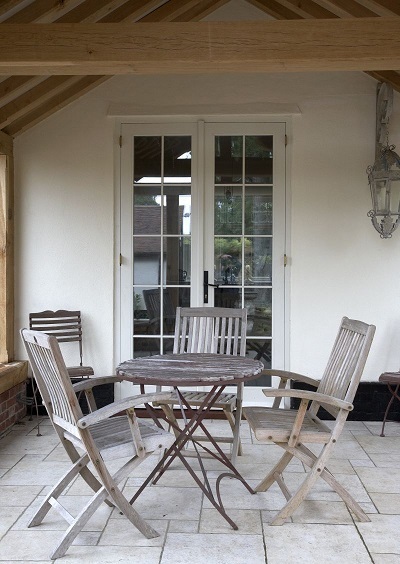 PATIO DOORS - Patio doors are large glass sliding doors often leading onto a patio, garden or balcony. 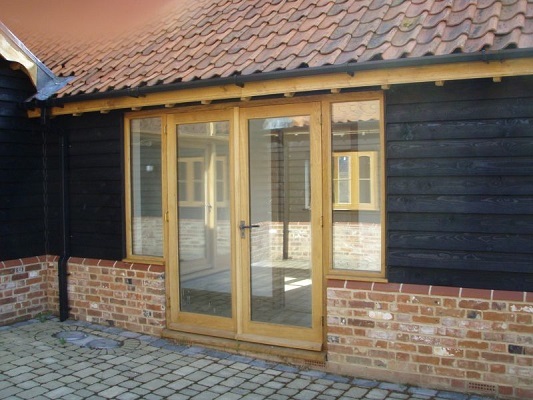 BI FOLDING DOORS - A Bi folding door with two folding panels, where the first panel is hinged from the second panel. 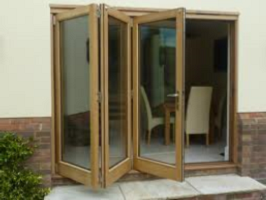 SLIDING FOLDING DOORS - Sliding folding doors are doors with multiple hinged panels, where the panels slide and concertina back to provide a fully unencumbered opening. 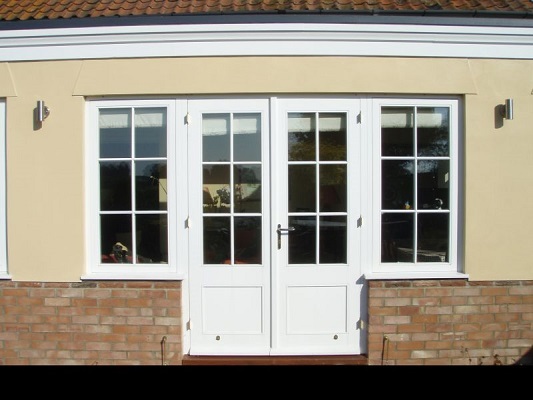 Ideal for opening up an area and large exterior openings giving a smooth transition between indoors and out. 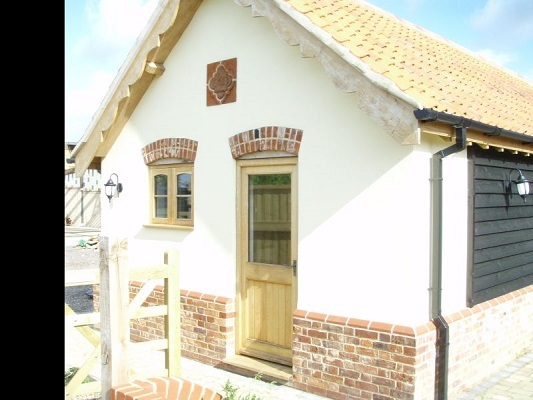 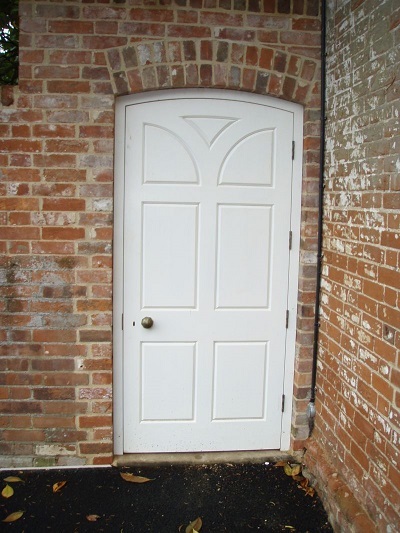 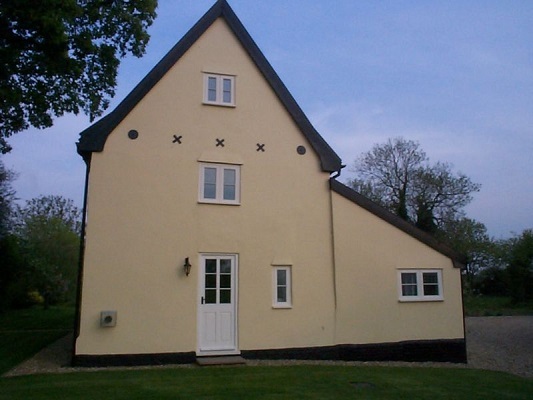 SHAPED DOORS - We can manufacture gothic arch, true arch and shaped doors.